What skills and practical concerns do you need to consider when hiring a remote worker? Hiring a remote worker is a bit different from hiring an office-based employee. With someone who’ll be spending their day in the office, things like their personality and working style are important as you’ll be dealing with them on a daily basis.But for remote workers, these are less important while there are a number of other factors you need to consider instead. Here are a few tips on how to hire the perfect remote worker. 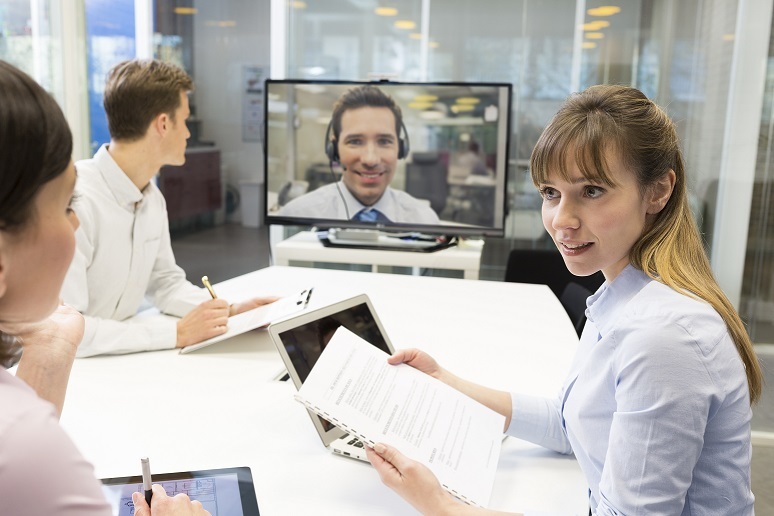 The first question is whether to bring them in for a traditional interview or test their remote working skills by conducting a video chat. The answer is both. In the first instance, go for a video chat. This will give you an instant idea of how they handle themselves in this unique situation and their grasp of the technology. After that, hold a second round of interviews in the office. Even if you don’t expect to spend a lot of time in the same room as them, it’s worth meeting them face-to-face to give you a better idea of the person you’re hiring. What experience do they have? Remote working isn’t something that is brand new, so you should be looking for someone who has experience of working from home. Motivating yourself and hitting deadlines without having someone there to push you can be hard. And it’s not for everyone. They might claim they’ll be ok with it, but unless they have the experience of working remotely, it’s hard to say. It’s not just about the work either – there are mental and social aspects to consider. If they’ve not had experience of working alone, they may find they don’t like the lack of daily human contact. As mentioned, without having colleagues or bosses there to push them on, remote workers need to motivate themselves. This skill is hugely important for remote workers but can be difficult to spot in interviews. Experience in remote working helps but there are a few other ways to find out. For example, what do they do in their spare time? If their spare time seems full of activity, it shows they can motivate themselves when they need to. You could also ask them to bring in examples of their work. If they’ve prepared a slick presentation of their work, it shows they’re willing to put in the hours. For remote workers, being able to communicate is essential. Their phone manner, how they reply to emails and the way they handle themselves on video conference is important as these will be the points of contact not just with the office but, potentially, with clients. Some people who are great in person can struggle with virtual communication. It’s a unique skill. Make sure your new hire has a pleasant email tone, is chatty and friendly on the phone and doesn’t fidget when on video calls. This entry was posted in Blog and tagged Employees, professionals, Staff on 12th April 2016 by Julie Tucker.